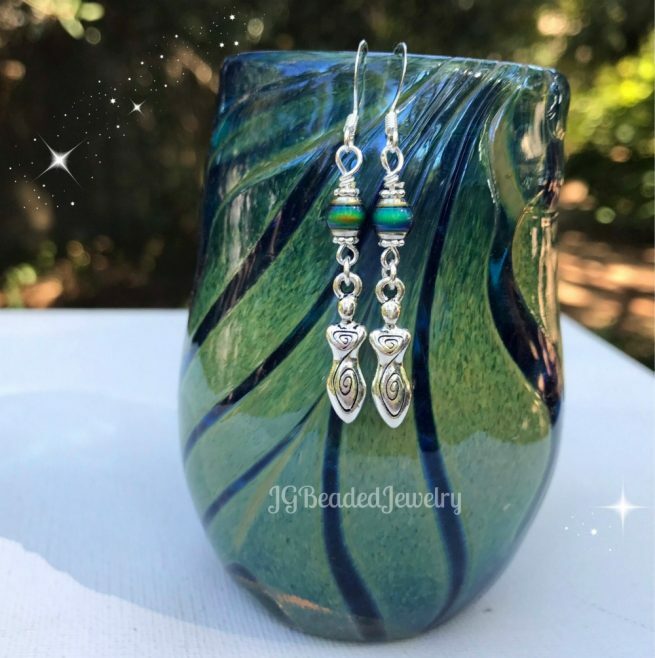 These Goddess mood earrings are unique, fun to wear and will change color with the temperature! The color changing mood beads can be blue, green, purple, gold, brown and multi-colored depending on the environment. The quality silver double spiral Goddess charms are two-sided. 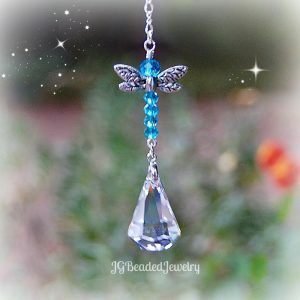 The symbol represents the dual purpose of life, the journey inward to your essence and outward to the world. 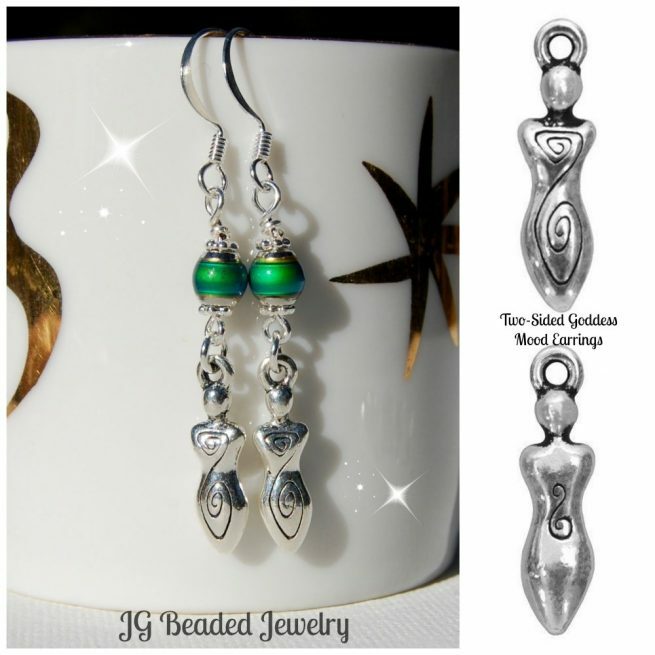 Length is approximately 2″ from the top of the ear wires to bottom of the Goddess charm. 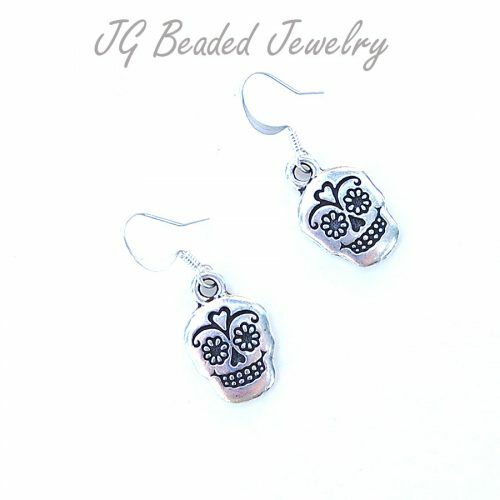 These earrings would be a wonderful gift for any Goddess in your life or for yourself ! 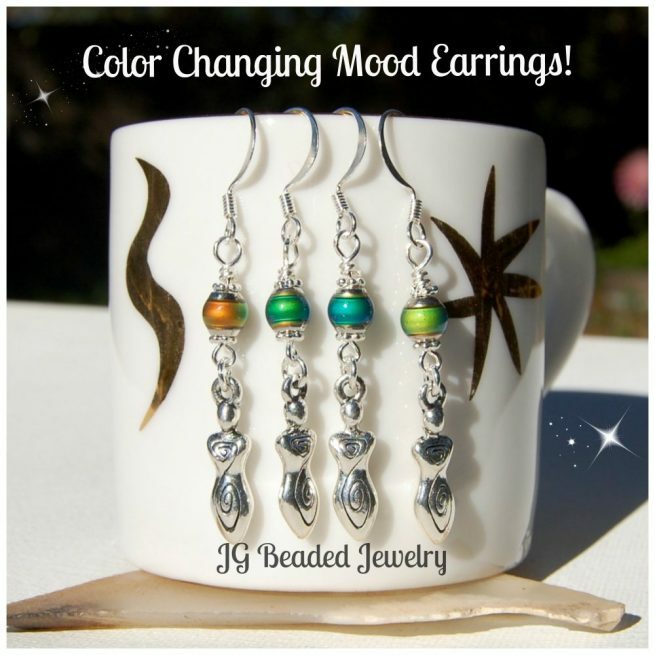 Find more Color Changing Mood Jewelry and Mood Bead Suncatchers here!